Self-priming automatic electric pumps, 12/24V, with electronic control for the transfer of diesel and oil. Helical bronze gears, NBR check valve, body and connections in nickeled brass, stainless steel shaft. 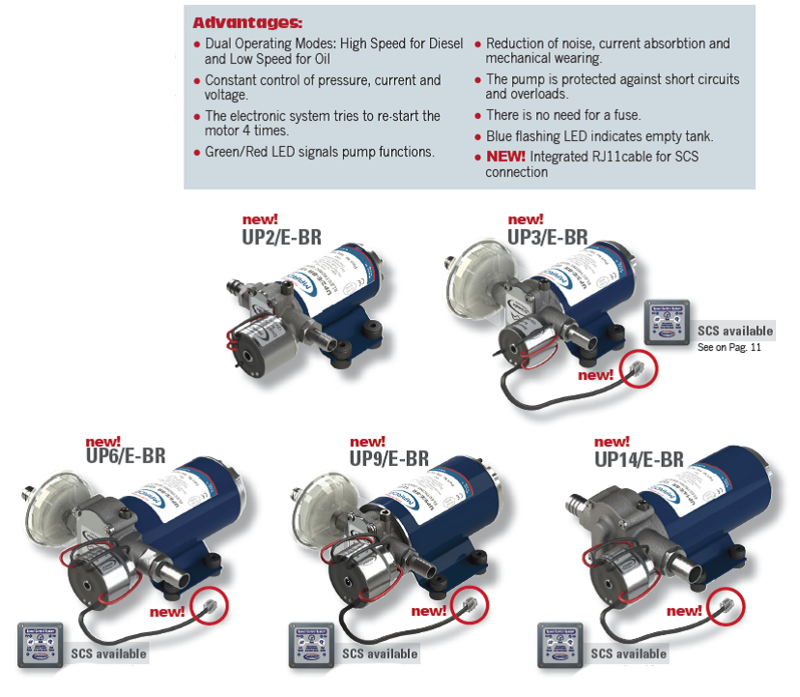 The pumps are supplied with a High-Speed setting for Diesel transfer. They can interact with a SCS control card allowing the switch to the Low-Speed mode for the transfer of oil and viscous liquids.